We all know Google has the plain white search page and often changing Google logo. In a recent blog post Google is giving users the option to change their background logo on the search page which can be uploaded from the users computer or Picasa Web album. This allows the Google homepage to somewhat resemble a Bing like look. 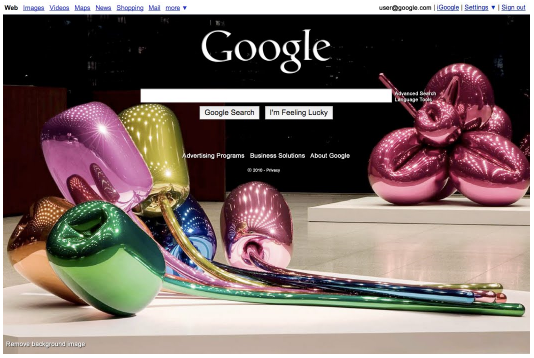 I don’t think Google is copying Bing, but more so giving users design flexibility. Below is an example of how the Google search page can be changed.